It has been awhile since I shared an upcycle project, and I couldn’t wait any longer to do something with the Method Dish Soap bottle I have been saving for months. 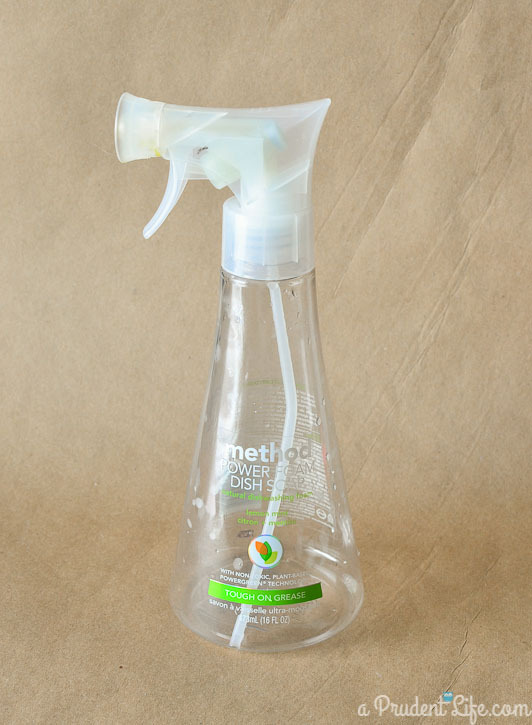 The Method products have gorgeous containers, so I always hesitate to throw them in the recycling bin. Here is what the empty bottle looked like before I started. The makeover was simple. I hot glued rope around the bottle in rings starting at the bottom. I cut each piece as I went to make sure they fit just right. I learned two tricks for making this project look great. First, remember to push each row of rope down as close as possible to the row below it before the glue dries. Second, stagger the seam in the back where the rope joins together. Keep all the seams on the back side, but start the rope at a different point each time so you don’t have one clear seam down the back. 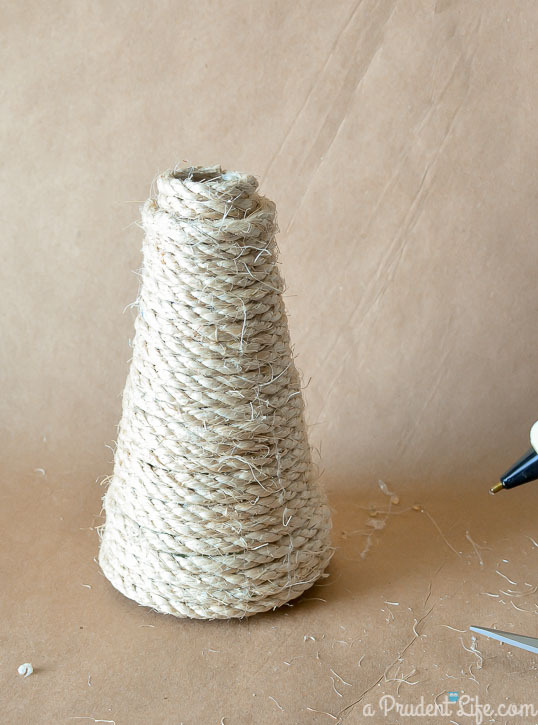 About halfway through attaching the rope, the vase started to remind me of a lighthouse, which made me think nautical. 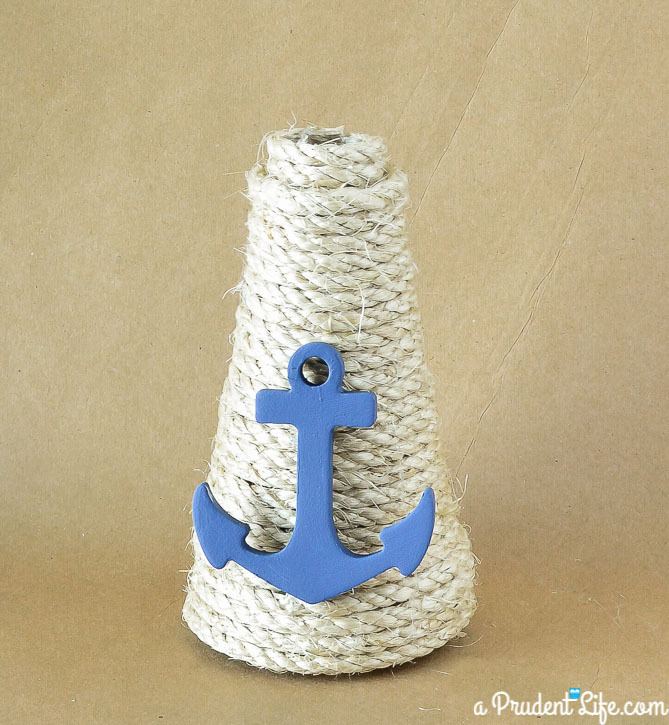 I’ll never pass up a chance to throw an anchor into a project. Luckily, I had a little chipboard anchor handy that I picked up at Hobby Lobby for $0.75 during one of the 50% off sales (score!). 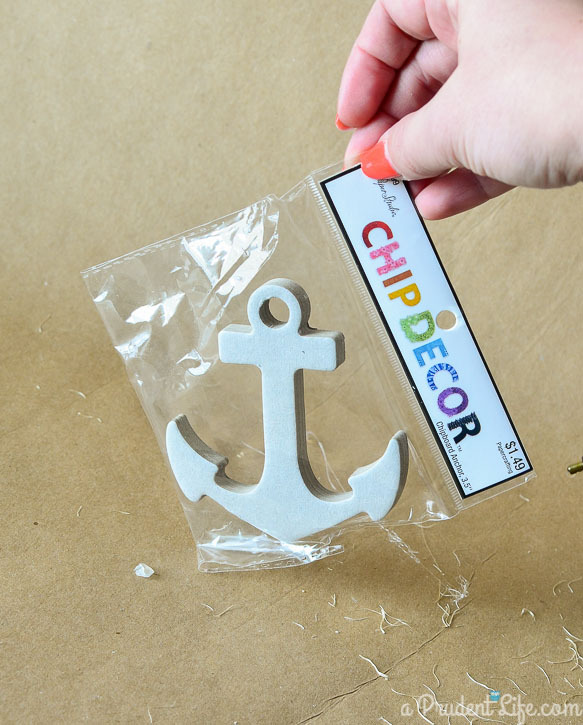 I painted the anchor with a navy craft paint I already had on hand. When it dried, I used more hot glue to attach it to my new vase. Can you believe this was created out of something that we normally trash? And best of all, it only cost $0.75 (for the anchor)! 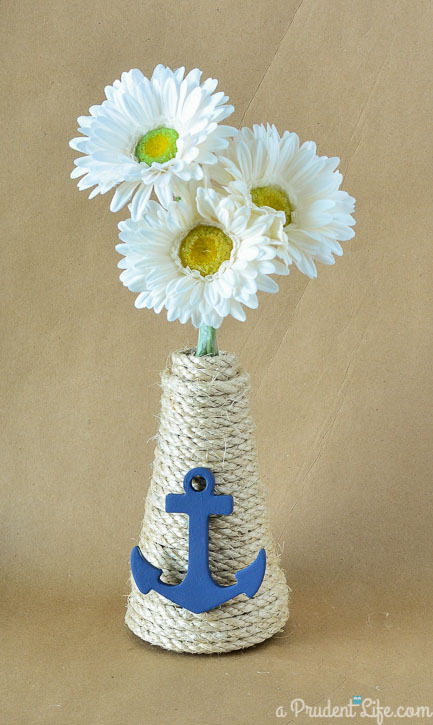 The rope was leftover from the same package I used for my big DIY Anchor AND my Rope Flower Frame. Are you still on the nautical bandwagon with me? How crafty is this project!! 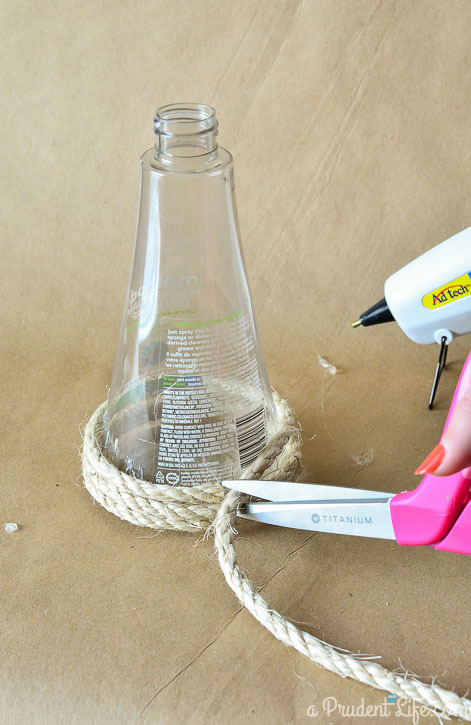 Loved that you reused an old spray bottle to create this cute vase. What a clever idea! Brilliant! I never would have thought to use a spray bottle for a project like this! What a cute idea! I always knew there had to be something cute to do with those fun Method bottles. Thanks for the inspiration! Stopping by from Whimsy Wednesdays! You’ve got a great imagination! Looking at the finished product, I never would have thought it was made from an old soap bottle! I just pinned this to the Frugal Crafty Home Blog Hop Link Ups board! Have a great weeend!